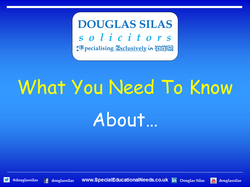 "WHAT IS PATHOLOGICAL DEMAND AVOIDANCE (PDA)?" PDA is a pervasive developmental disorder, related to, but significantly different from, Autism and Asperger syndrome. The central difficulty for people with PDA is their avoidance of the everyday demands made by other people due to high anxiety levels when they feel they are not in control. A child with PDA is likely to appear socially manipulative and superficially socially skilled. They usually have good eye contact and use this to good effect when manipulating others. Whilst children with PDA usually know how others should behave, they are unable to include themselves within these expectations. They show an obsessive need to dominate in social interactions and to ensure that everything is done on their own terms. This should be viewed as a defensive strategy borne out of deep anxiety about the demands they fear will be made of them and the need to control their situation to prevent this. Children with PDA usually under-achieve in school compared with what is perceived as their ‘true’ potential. They often show signs of social mimicry and role play or other symbolic types of play e.g. with dolls. For example they may behave to other children like the teacher or may take charge of their assessment in the role of psychologist. Role playing a ‘good person’ may help at school but is likely to divert attention from underachievement. There may be a language delay in children with PDA but there is a good degree of catch-up although this is often sudden. However, speech content is usually odd or bizarre and repetitive questions are used for distraction but may signal panic. There is a possibility of a passive early history but this is not always the case. For example, the child may not reach, may drop toys and there may be a delay in reaching early milestones. It is believed that there may be neurological involvement in some cases, with a higher than usual incidence of clumsiness and other soft neurological signs. "WHAT ARE THE MOST COMMON AVOIDANCE STRATEGIES?" Distracting adult e.g. ‘look out of the window’; ‘I love your necklace’. Acknowledging demand but excusing self e.g. ‘I’m sorry but I can’t’; ‘Mummy wouldn’t like me to’. Physically incapacitating self e.g. hiding under tables; curling up in corners; going limp. Withdrawing into fantasy e.g. talking only to dolls or to inanimate objects: ‘my teddy doesn’t like this game’; ‘but I’m a tractor, tractors don’t have hands’. Reducing meaningful conversation e.g. bombarding adult with speech or other noises; mimicking; refusing to speak. As a last resort the child may have an outburst e.g. screaming, hitting, kicking (this is best construed as a panic attack). "WHAT ARE THE CAUSES OF PDA?" Many parents of children with PDA feel that they have been wrongly accused of poor parenting through lack of understanding about the condition. However, this is not the case, and as in all pervasive developmental disorders, the underlying cause of PDA is believed to be organic brain dysfunction with genetic factors. It is important to recognise that these children have a hidden disability and often this disability is not immediately obvious.